There’s An App For That (FREE GIVEAWAY!) | Teacher. Reader. Mom. ← Take Me Out to the Ballgame… A Triple Play Review! You have an iPad. One. What good could that possibly be for your classroom? I bought my iPad, so excited for the doors it would open in my classroom, only to find it primarily being used to play Plants Vs. Zombies. (By me, obviously. I wasn’t going to let my students play that garbage.) Who has time to scour all of the education apps to separate the wheat from the chaff? There’s good news! Today’s teaching tip will highlight a few excellent apps for different subjects and different grades. They can be used with one iPad, or with a center of many iPads. Some can also be used on the computer. I tried to talk about only those apps I have actually used successfully, and I also tried to stay away from test-preppy drill type apps and games, and stick to apps that I felt had quality graphics, content, and useability. One final word, scroll to the end to see the app that changed my life! And see the details for our FEBRUARY GIVEAWAY!!!! For our primary readers, the ones who are struggling to recognize letters and sounds, there are some excellent resources. Here are two that have been kid-tested and mother (me) approved. Yes, this app costs money. But it is also incredibly fun. There are fun and interesting words for each letter. Kids pick a word. Once they have picked the word the letters scatter around the screen. Kids drag and drop the letters onto the corresponding letter in the word. As they drag the letter wiggles and jiggles and says its sound. Once the word has been formed correctly, an animated movie defining the word comes across the screen. 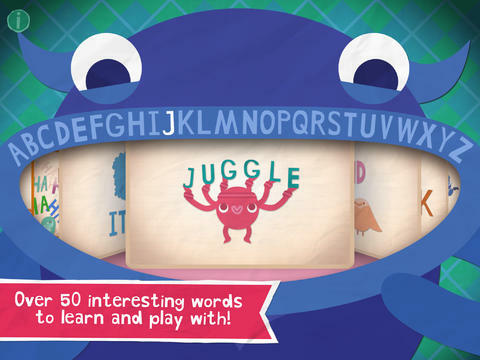 The cartoons are fun, and the app helps teach letter recognition, letter sounds, and vocabulary. Once you have spent some time in the home page of this app, you will wonder, “What doesn’t this app do?” Aimed at Pre-K through K, this app focuses on letter recognition, letter sound, word families, sight words, and early online readers. As a teacher, you can see a dashboard of your students and their progress. It’s also possible to assign work that your students can do at home with their own log-ins. This can be done on a tablet, or on the computer. It has most everything you need for early reading skill practice–and it’s free for teachers! Remember the Choose Your Own Adventure books? There wasn’t a boy in my class in third grade who didn’t have one of those books in his desk. This is the online version. In this app, after creating an avatar, children get to read a short introduction to a story. Then, they are faced with several choices of what to do next. Depending on the choice they may end their journey in victory or in death. The app allows for a collection of trophies as you play. It also has games interspersed throughout to make the play even more engaging. 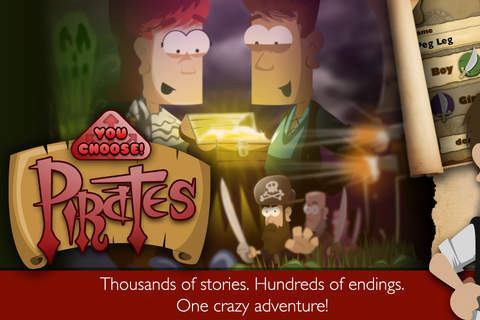 I imagine this app is a fun reading adventure, especially for reluctant readers. I enjoy scrolling back and forth to all options (something the app allows) until I get a favorable ending. 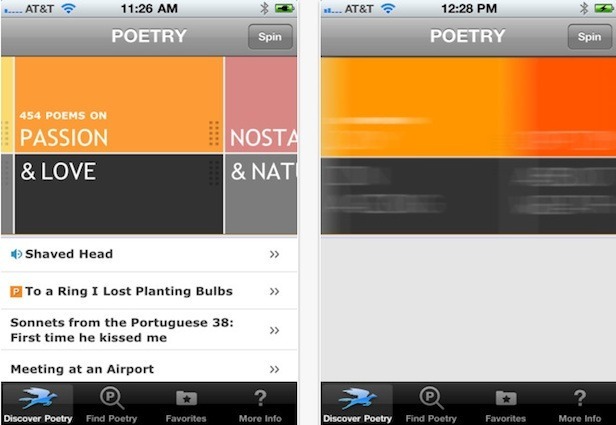 While not the most visually stunning app, this app does have a wide variety of poems to pull from. Created by Poetry magazine, the poems are categorized by subject. There are two search functions, so that you can spin to match two categories of poems, such as “Optimism & Aging” or, for your more cynical self, “Boredom & Love”. 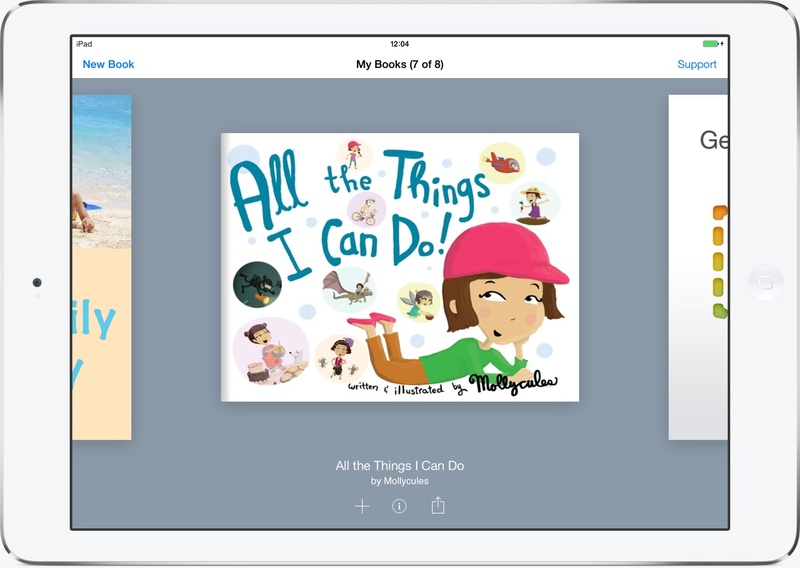 The great part of the book creator is that once the book has been created it will go into the iBook app, and then can be shared with other students, possibly during independent reading time. It’s also a great way to “publish” student work. The books can be sent to family and friends for viewing. Books can use photos from iPhoto, or from the internet. It does take some time to do the book creation, so this one is not a simple drill and kill app, but I think it is worth the end results. This app features incredible graphics to teach children mathematics concepts starting with basic counting and going all the way through early fractions. It is ideal from Pre-K through Kindergarten. The app has three levels with a total of eighteen games that students can play. I especially appreciate the activity featured above, in which an egg carton is used as a ten frame to teach counting, doubles, and pairs used to make ten. This is a large app, so it will take up a decent amount of space, and you will likely need to be connected to WiFi to download it. In Mathmateer, the object is to build a rocket that will propel you into space. Once in space, you can earn points by answering math questions. Along the way, you can solve math problems to earn money to improve the quality of your rocket ship. 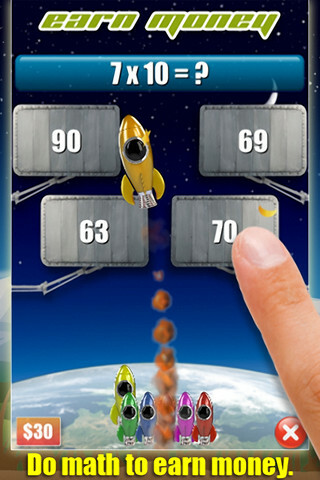 This app allows kids to practice a lot of math facts, while also using their engineering skills to create a rocket that won’t fall on the ground immediately after launch (as mine did the first two tries). While it is a little “drilly”, I thought it was a fun way to practice the skills while also creating and building. 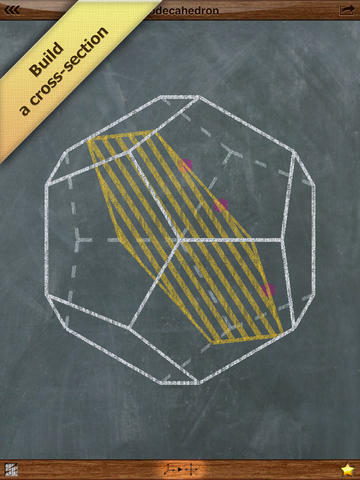 iCross is a geometry app. It has a comprehensive list of geometric solids. Once you’ve clicked on a solid, you can manipulate it, seeing it from multiple angles and views. To further manipulate, you can designate cross sections, or cut the solid into parts, and then rotate it to look at it from multiple perspectives. I really wish this app had existed when I was in geometry. Even my most artistic teachers weren’t able to create this level of manipulation on a chalk board, and seeing the solids from different angles allows for a visual take on simple and complex geometric concepts. This is my favorite iPad game of all time. The animations are breathtaking. 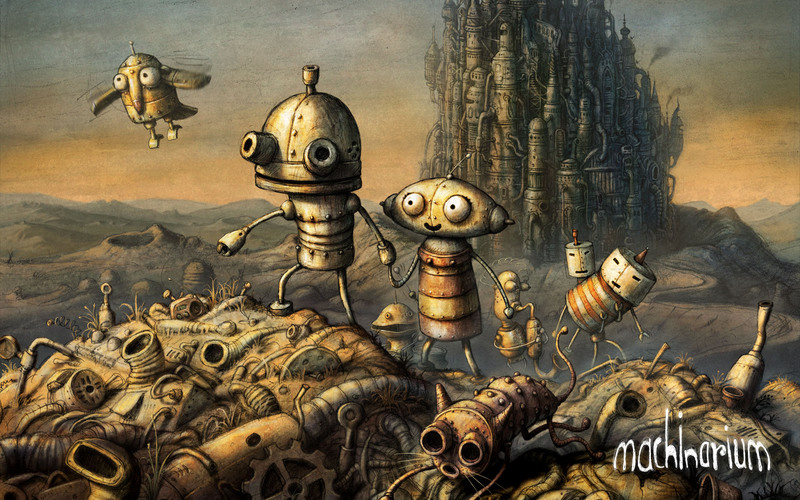 The game starts outside a town of machine trash, and works until you get your robot back to his space ship. While there are some clues on each level about how to progress to the next, the hints are minimal, and it requires perseverance to make it to the end. But it is SO FUN! I highly recommend this app if you want something to occupy your kids for hours. And I think it would be especially rewarding for some of our visual/tactile learners who might not always be successful in paper and pencil activities. It involves a completely different way of thinking. Enter “The Room” and start the most fascinating investigation into where and why you are there. 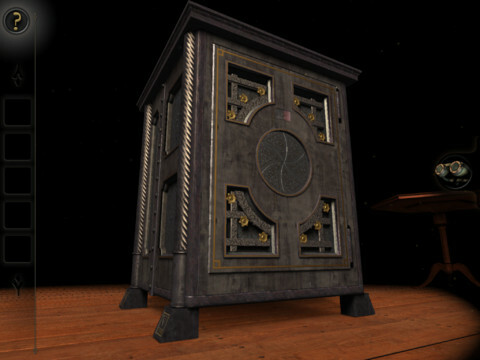 A series of puzzles, you manipulate the chest in the middle of the room to unlock more clues. 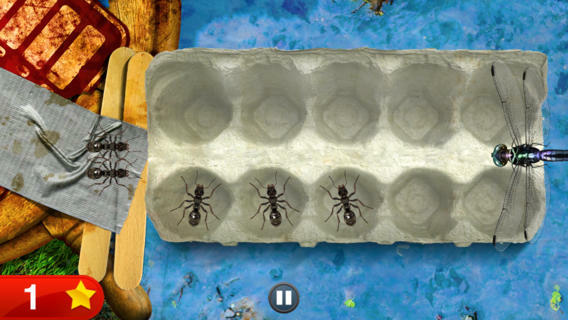 Visually stunning, this is a great problem solving app, and certainly teaches perseverance. There is some reading involved, so this one is geared for a slightly older crowd. Maybe you remember the days of “Turtle” on Apple2E computers. Maybe I’m dating myself. In any case, this free app teaches kids basic coding skills through the use of fun images and games. 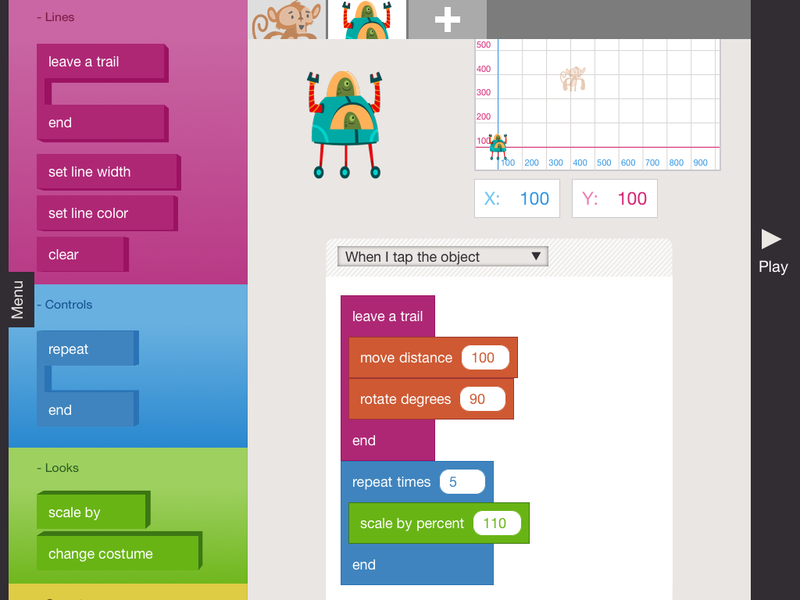 By manipulating an object, kids learn the basics of code. As kids get more comfortable, they can start to create a project, so that the object can do a series of actions. Eventually they can start to create whole scripts to manipulate their object. I cannot wait for my son to be old enough to use this app. With this app, you can scan books and find their lexile and reading level. Pretty cool. But that’s not it! You can also use this app to catalog your entire classroom (or personal) library. Wow! But that’s not it, either. 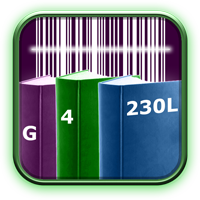 Once you’ve cataloged your books, you can use this app as a CHECK OUT SYSTEM! I know my friends will think I am dorky when I start scanning the bar codes when they borrow a book. But who’s laughing when three years from now I still have documentation that they have my copy of Pride and Prejudice. And I want it back. Not to mention that this solves the ongoing dilemma of how to get students to quickly check out books to take home without losing your entire library. The app also allows you to create a wish list. If you’re like me, this means you can scan every book at your local independent bookstore to remind yourself of the one million book you have yet to purchase, all of which you can then add to your birthday list. It’s OK if you aren’t as excited as I am, but hopefully you’ll at least look at what the app can do. 1.) 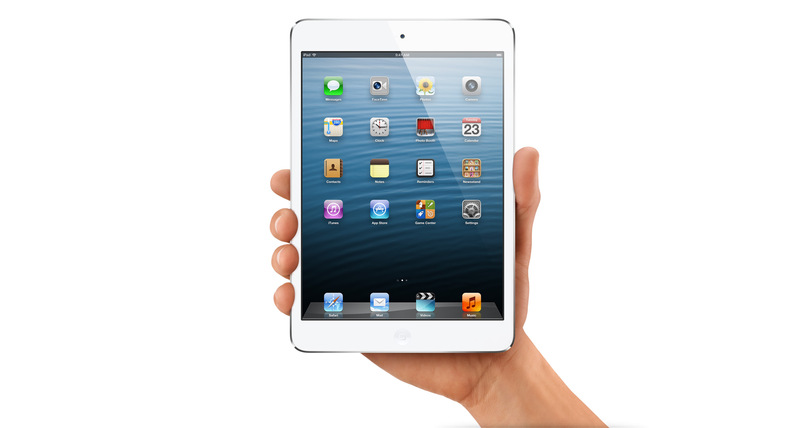 Comment below with your favorite way to use your iPad at home or in your classroom. 2.) Leave us a note on our contact us page, telling us what additional topics you’d like to see covered on our blog. 3.) Tag “Teacher Reader Mom” on your facebook page. Or comment on the post for this entry, and tag your friends in your comment for extra entries! That’s it! Contest ends next Tuesday. Make sure to include your email so that we can contact you if you win. iTunes gift card will be emailed. Good luck! This entry was posted in Teaching, Tuesday Teaching Tip and tagged app, coding, education, educational apps, educational technology, free giveaway, iPad, literacy, math, technology, tuesday teaching tip, Writing. Bookmark the permalink. I love all the apps for education. My only issue is that the apps I typically find are for primary grades. I have trouble finding good ones for the intermediate. Any suggestions? Great question, Lauren. I found some during my research, but I want to try them out a little longer before making recommendations. Anyone else have any good ideas? Booksource classroom is a great in class library app. You can scan your books in class to be checked out. Whaaaaat?! There is a leveling app for books?? How am I just learning this now? I will try it out tomorrow. My classroom library thanks you. Mmmwaa!! I’m so glad you appreciate how exciting this is. I don’t think I’ve even begun to utilize the app to the full potential, but it sure makes me excited. Thanks for commenting! This is great! I just went to a literacy night at our school and they mentioned Endless Alphabet (and Endless Reader) but not all the rest of these. Very nice resource that I will be checking out bit by bit! Thanks! Language-learning: Duolingo. Much has been said but it is a good app for some basic grammar and vocabulary. For more kid-friendly, try MindSnacks or Gus on the Go. Flashcards: Quizlet. I use this all the time. My students suprisingly never get tired of the games. 1. Animoto is still a great service, free 6-months PRO account at a time for teachers and they have an app now. 2. Narrable allows students to narrate pictures one at a time that they upload. I haven’t used the App version but we have tried out the web version in class. Simple to use. 3. Toontastic is a cartoon creator… students can create their own backgrounds and characters or use stock ones (need to purchase), then can move them around the scenes as they record their voice. Not an app, but an awesome, awesome website is Storybird. ❤ it. This is an epic comment to start us off! Thanks so much, Cara!